JACKSON, TN-‘Gospel on the Move’ is one of the most popular local television shows in the Jackson, TN area. The one-hour weekly program airs Sundays from 7 – 8 am, on NBC Channel 39 WNBJ, hosted and produced by Dr. James Baxter. The program features area and national guests who are household names in the genre of gospel and Christian music. Previous guests have included: Lee Williams and the Spiritual QCs, Harvey Watkins and the Canton Spirituals, The Williams Brothers, The Mississippi Mass Choir, to name a few. There’s a special edition spinoff show titled ‘Your World, Our World’ that also airs on the same channel each Sunday too. 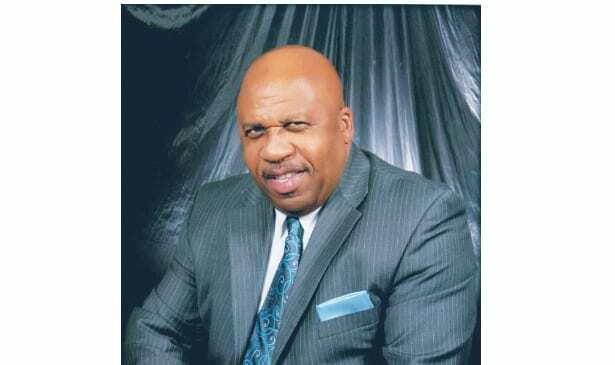 “Get ready for some hand-clapping, toe-tapping, good old-fashioned gospel music, when you watch Gospel on the Move,” Dr. Baxter tells the Tribune from his office in Jackson. “With the Your World, Our World special edition, we do stories with outstanding citizens of the local community who are making a difference.’ Gospel on the Move originally began airing in 1992 but the show went on hiatus after Dr. Baxter was diagnosed with intestinal cancer. The show resumed production in 2014, and today Dr. Baxter is now cancer free! He gives all the glory to Jesus Christ. “I thank our Lord and Savior daily,” he says proudly. It seems that Dr. Baxter has spent most of his life making a difference in the community and in the lives of others. In addition to being a successful TV shows host/producer, he’s also an experienced educator and pastor of Mount Zion Christian Methodist Episcopal Church in Henderson, Tennessee. A young James Baxter gave his beloved mom a double portion to be proud of. Not only did he get his high school diploma, but he went on to earn a Bachelor’s degree from Lane College and a Master’s degree from Tennessee State University, where he also earned his Doctorate degree in education administration and supervision. He later served in the U.S. Army and was honorably discharged. Baxter has taught history and social studies in Jackson and Bolivar, TN. He’s taught U.S. history at Jackson State Community College and was a history teacher at his alma mater Tennessee State University, for many years. He also has served as principal at Milan Middle School (Milan, TN) as well as at Jefferson Elementary School in Fayette County. In the spring of next year, Dr. Baxter and his crew are excited to bring gospel greats Bishop Marvin Sapp and Grammy Award singer/actress Tamela Mann to Jackson, TN for some hallelujah, good old school gospel concerts, with other major-name gospel music concerts to follow throughout 2018.